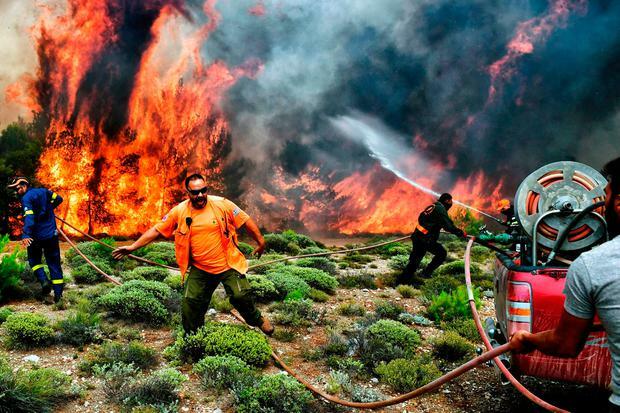 Summer heatwaves which struck much of southern Europe in 2017 causing catastrophic wildfires are three times more likely to occur compared with 1950 - because of climate change. The American Meteorological Society also says record-low Arctic sea ice linked with global warming resulted in lower rainfall than normal in Europe in December 2016, while the extreme rainfall which struck Bangladesh the same year was made up to 100pc more likely. And Sophie Marjanac, ClientEarth climate lawyer and co-author of the 'Explaining extreme events of 2017 from a climate perspective' report's introduction, said the link between global warming and extreme weather events could result in a legal liability if warnings were ignored. "Insurers need to be integrating academic climate science into their models or face increasing losses," she said. "The findings show it is only a matter of time before climate attribution science translates into legal liability for those that continue to ignore these risks."